Designers Craig & Karl are known for their vibrant, geometric work, and now so too will a small strip along Wood Lane. 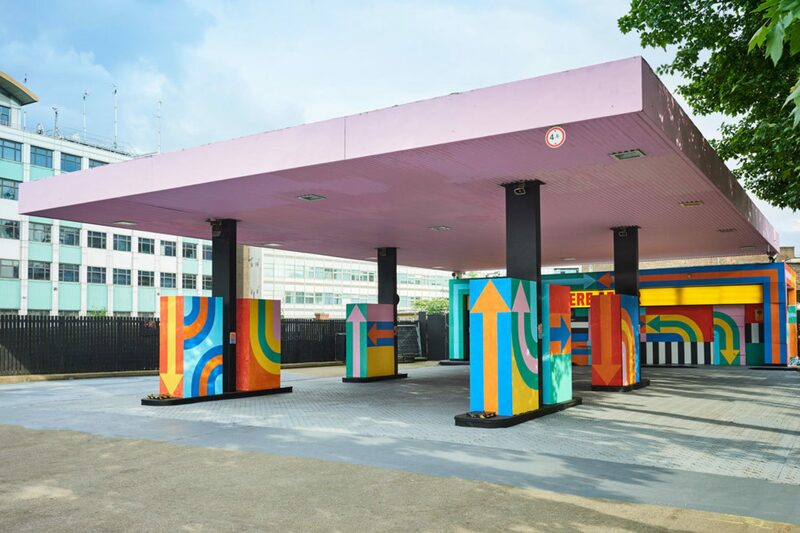 A disused petrol station just outside White City Place has been transformed into an immersive art piece by the designers, for whom this is the first major public artwork in London. The work's title, 'Hereafter,' suggests a place to meet or something that is yet to come. 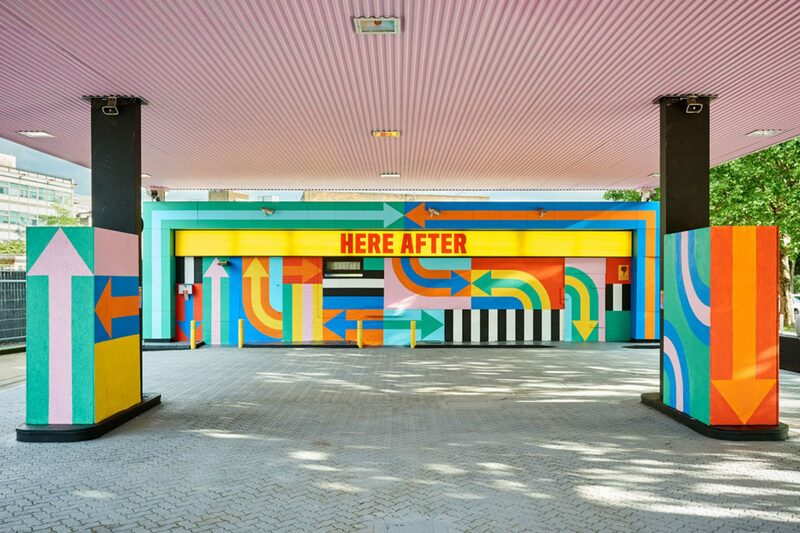 The Petrol Station is only one part of the ongoing revitalisation of White City, as it transforms into a vibrant, creative neighbourhood.